Shopping online is convenient, easy, and you don’t have to lug your kids in too. So, basically it is a win-win for moms everywhere. Thanks to Amazon Prime, we don’t even have to wait a long time anymore to receive what we bought. You got to love technology. Learn the ways to save money when shopping online with these 5 helpful tips! In an effort to fully disclose, this article contains affiliate links. This means if you purchase something or sign-up, I may receive a commission. For more information, please see my disclosure page. This website is awesome especially as one of the ways to save money when shopping online! It gives you a percentage of what you spend at specific retailers back to you in the form of a check or a deposit to Paypal. It isn’t something you are going to get rich quick on, but if you are already shopping online it can give you some money back. All you simply do is register with Ebates and then you search for the store you were already going to spend money at and it takes you to their website. From there, you simply purchase what you were already going to purchase, and it credits your account a percentage of your total purchase. This can add up overtime, especially during the holidays and on big ticket purchases. I view it as if you are already going to be spending the money, so why not get some of that back? Click the Ebates button below to sign up now and start saving. If you found something you can’t live without, or are set on buying, do a quick search to find out if there is a cheaper price for it elsewhere. A big part of know how to save money when shopping online is to make sure you are getting the best price for what you want. Also, go to google and type in discount codes or coupon codes for the store you are looking at buying from. Sometimes, there will be coupon codes that work, and other times they may not. If you want more ways to save money when shopping online, in particular Amazon, this is a must! This website offers high discounts on products on Amazon, in exchange for a review on the snagshout website [they also encourage you to share your review on social media, but it is not required]. The thing about this website is that they are usually not well-known brands of particular items, as that is why they are trying to get their name out there. 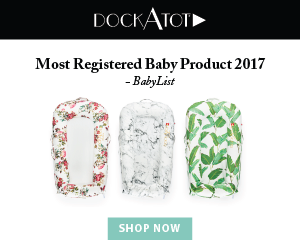 The product categories range from beauty, electronics, and even clothing. I have only ever tried this site once, and I received a solar-powered usb phone charger at an 85% discount [no complaints so far]. Honey is another answer for ways to save money when shopping online. This is one that I recently heard about via a facebook ad. It is actually a neat little tool. It works by applying any and all coupon codes it finds available for stores you shop online. Not only that, it also has a feature where you can analyze the price of a product for a given amount of time (say 30 days) and see when they offer the cheapest price. Not only that, Honey also has a rewards system. So everytime you use Honey, you get gold that can be redeemed for gift cards. There is a minimum payout of 1000 gold which is the equivalent to a $10 gift card. This is a MUST-HAVE if you shop online! So, paribus looks at the purchases you make, and if a store offers a lower-price guarantee for a certain amount of days, they will email that company and get you the refund. This has worked a lot for Walmart.com.The only thing to note is that it only works for 10 days after you purchased said items. If you have amazon prime, you NEED this! Amazon has guaranteed to ship by dates, and inevitably things happen and packages are delayed. Well, Paribus will contact Amazon and get you a FREE month’s subscription to Amazon prime EACH time they have a package delayed past their guaranteed time! YAY!!! and get free 2 day shipping on a ton of different products. These are a few ways to save money when shopping online. Sometimes the savings aren’t big, but every little bit helps! If you enjoyed reading this, please remember to pin it to your saving money board on Pinterest, thanks!! I completely agree Rashmi! Every little saving you can get can really add up in the long run. This is awesome! Thank you for doing this research! I’m going to apply all of these apps today! You will be so glad you did Mirley! These are really helpful tools to save money. Some great suggestions. I had never heard of Honey, I will check it out. Jen, I hadn’t heard of Honey either until recently. It is rather cool though because it will automatically add any discount coupons it can find. Also, it can help you find the best price on an item on Amazon too. I love when technology can help make life easier! These are awesome tips! I’m an obsessive online shopper so this is very helpful! Love it! Never heard of ebates before. Sounds interesting! I, too LOVE shopping online…probably too much! Ebates is such an awesome tool. You can earn money back on so much and during the holiday seasons, when shopping online is so much higher, they have larger rebates. This is such a helpful post…especially since most of my shopping these days is done online!! Oh, I know Lauren! I do most of my shopping online, aside from groceries. It’s just easier especially if you have kids! This is such a great way to save, I haven’t purchased much online recently. I will save the names of these sites for future online shopping. Nadalie, you will love these sites for saving you money. They come in handy a lot during the holidays! These are wonderful tips. I love using honey, and it has earned me a lot of savings, as well as rewards. I really need to start using Ebates. Also, people should try to shop when it’s more aligned with online sales and free shipping. I love shopping when there’s no minimum for free shipping and I take full advantage. AmberLynn, you make an excellent point that shopping online can be great if you plan out your shopping around free shipping and online sales! You really should try Ebates. I hadn’t for such a long time, and then kicked myself because I could have gotten some serious money on a big online purchase. It’s free, so you might as well sign up. These are all great resources– thank you for sharing! Online shopping is such a game changer. Absolutely Cece! I am a huge fan of saving money, and also shopping online. I love when I can make both of them work together! I am so glad I got here! Will definitely use Paribus! Thank you ! Justyna, you will love Paribus! I like how it mostly does all the work for you after the initial sign-up. I have gotten 3 months free on Amazon prime just for late shipments, as well as cash back from companies that had price changes. Thanks for the tips! I totally didn’t know about most of them. I love saving! I’m glad this helps you Karima! I love saving too, and these have definitely helped a lot. This is a God-send! Lol. Amazon prime gets me every time! I’m such a sucker. Wow I have never heard of Paribus or Honey! I need to check them out. Cassie, you will love these! These are great tips! I’ve found myself doing most of my shopping online now to save time. Wow! What great resources. I’ve only heard of EBates. I can’t wait to use these when I’m shopping online. You should definitely check out Paribus and Honey for sure! They are game changers when it comes to saving money when shopping online.